Time. We’re all obsessed with it. How much of it has gone by, how quickly it moves and will we ever have enough of it. Probably not but that doesn’t mean you can’t have something cool to help you keep track of it. 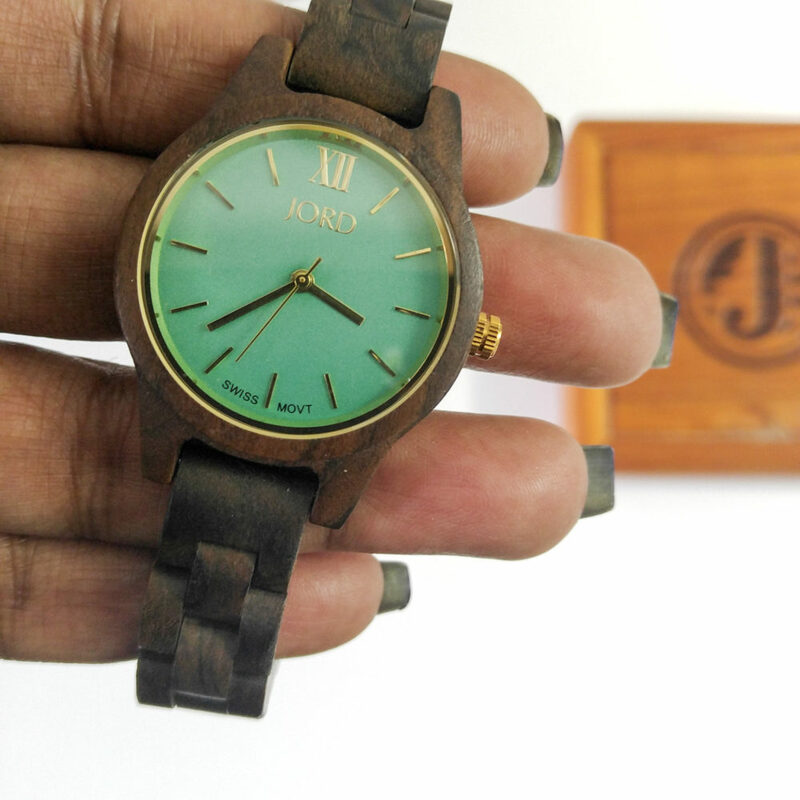 To that end, the good folks at JORD sent me a lovely wood watch to help ease my time struggle and look good while doing it. 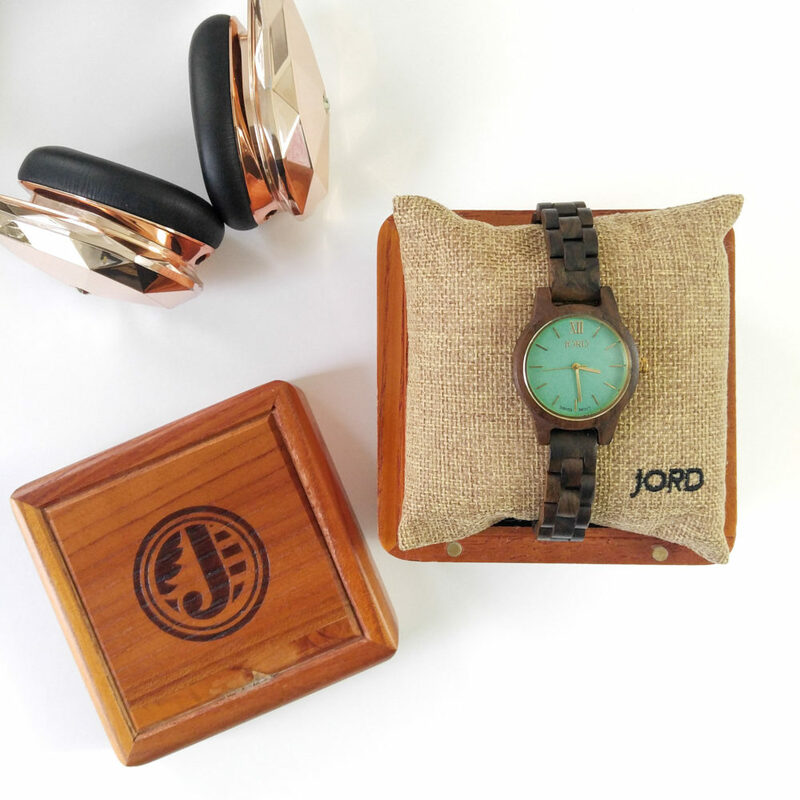 Beautifully crafted of sustainable materials, a JORD Wood Watch isn’t meant to be worn, it’s meant to be experienced. 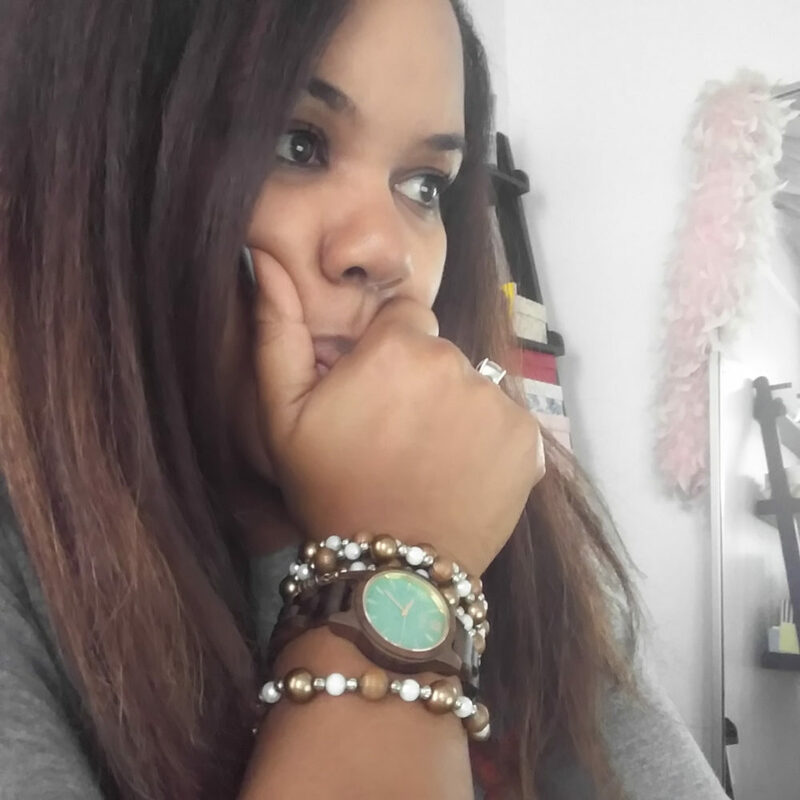 Rich with old world charm, I chose the Women’s Frankie35 Series in Mint because I love the cool mint green face paired with the rich, dark sandalwood. Floating on a jute wrapped pillow and encased in a sturdy wood box, the JORD experience began immediately. When I unboxed the watch, I was immediately transported. I know that sounds like a lot for a watch to do, but hear me out. 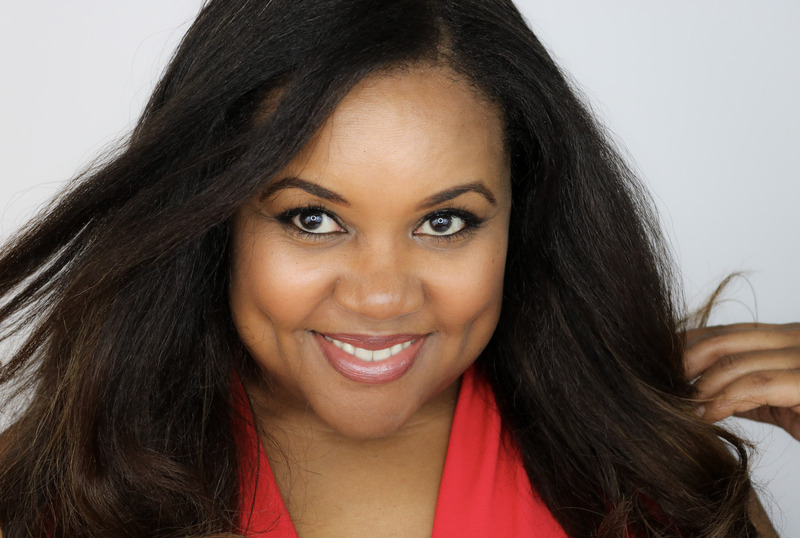 Usually when I get something new, I am dazzled by the design or fall in love with the sparkle and I get all excited about how I’ll incorporate it into my life. This watch had a completely different effect on me. A calming one. It was like stopping the hustle and bustle and taking a moment to walk in nature. Something I rarely get to do, I live in the concrete jungle of New York. That is the power of natural materials and it is sorely lacking in our technology-driven culture. It’s refreshing. When I wear it, I’m freed from constantly checking the fitness stats or app notifications that I’m accustomed to tracking while wearing my smartwatch. Again, refreshing. It’s nice to have a timepiece that encourages me to stay focused on what I’m doing or who I’m with. It’s a cool watch and a much-needed nod to analog living. I am a fan. 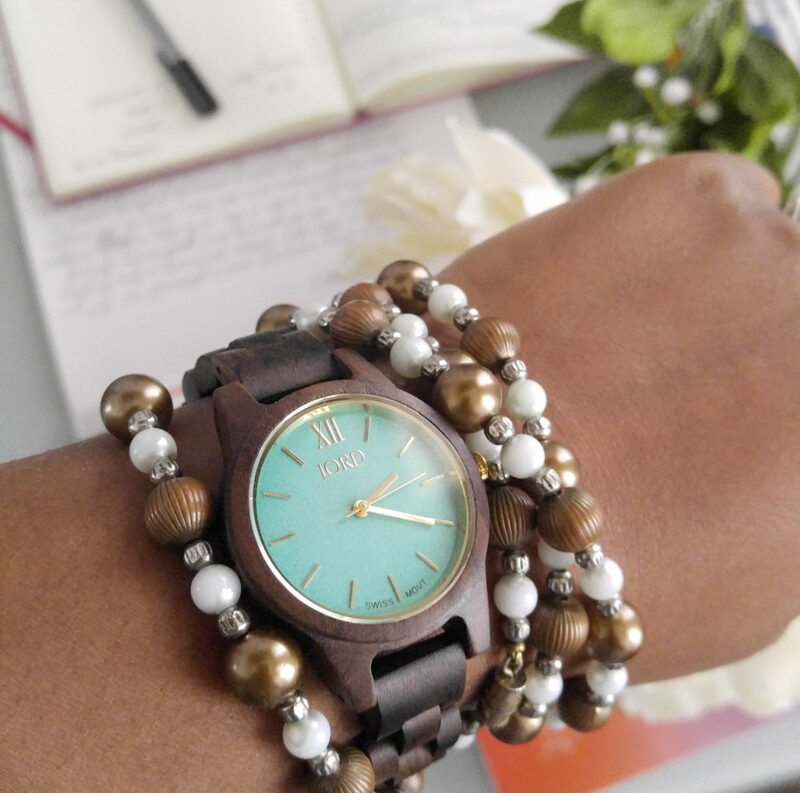 JORD Sandalwood and Mint wood watch paired with my mom’s vintage bead necklace. Beautiful! I love the mint green on the dial. I have a JORD watch and love it! I don’t have much green in my wardrobe so I thought it would be a nice change. It was! I love the green face! That was my second choice.